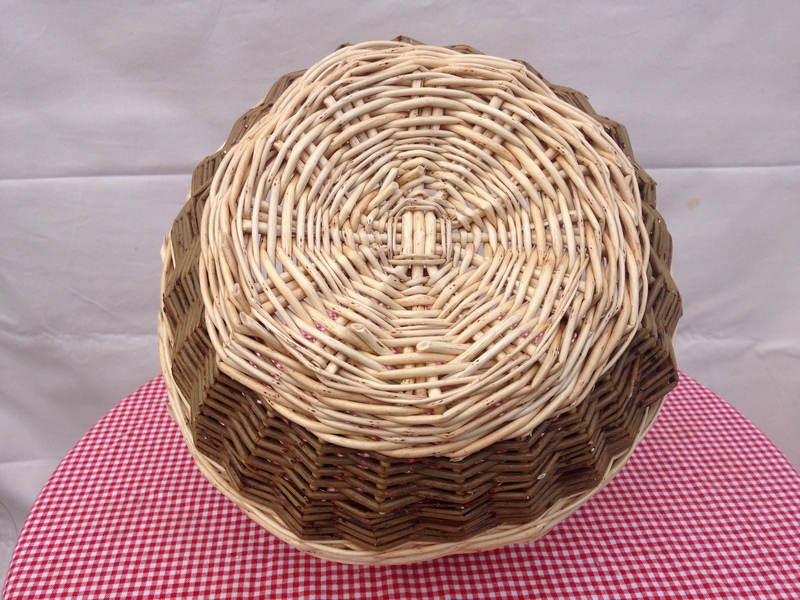 Whilst at Blist Hill Open Air Museum in Ironbridge Shropshire I found a beautiful round basket in the Drapers shop window. 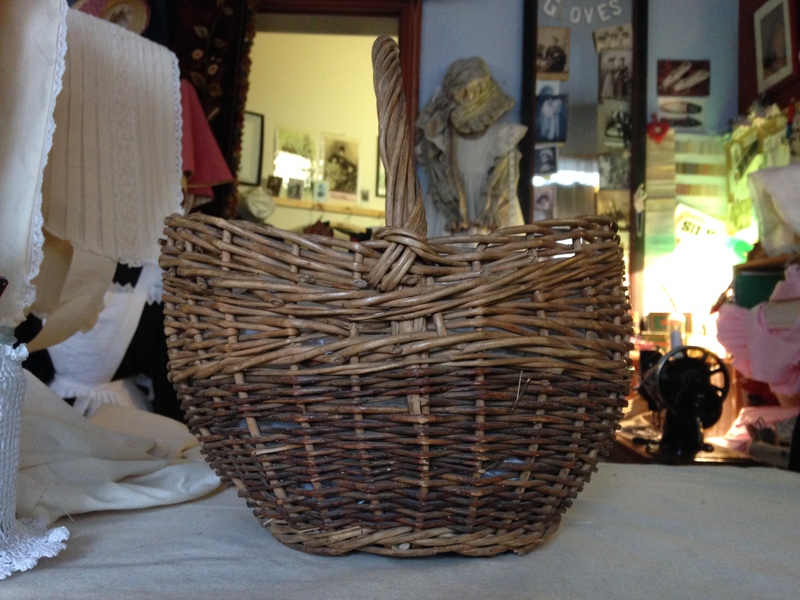 Turned out the lovely lady in the shop had been using her basket for over 40 years for both berry picking and daily use. 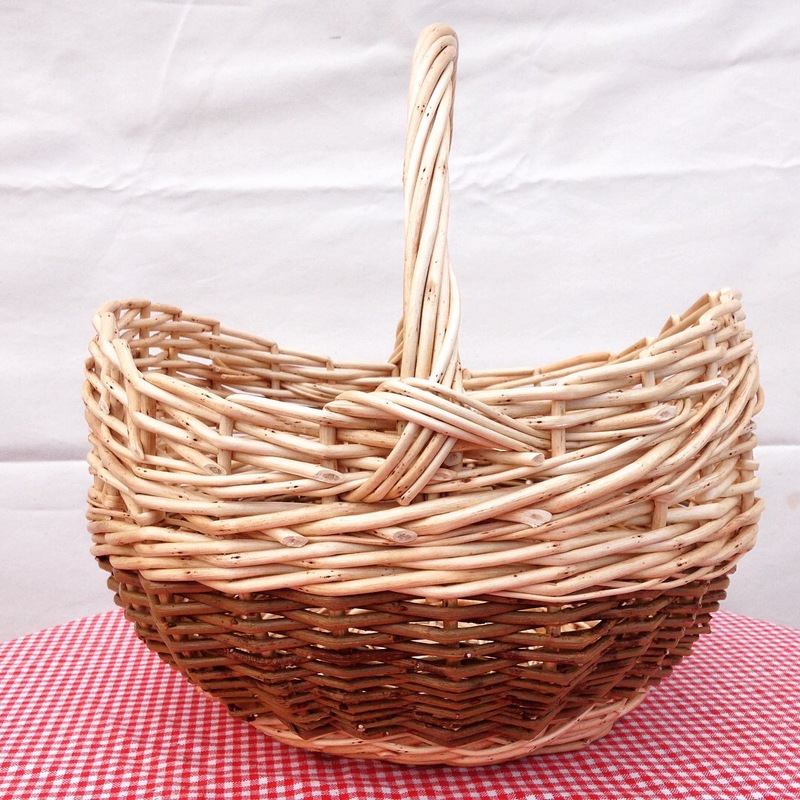 I just had to have a go at replicating her well loved basket using white and steamed willow. 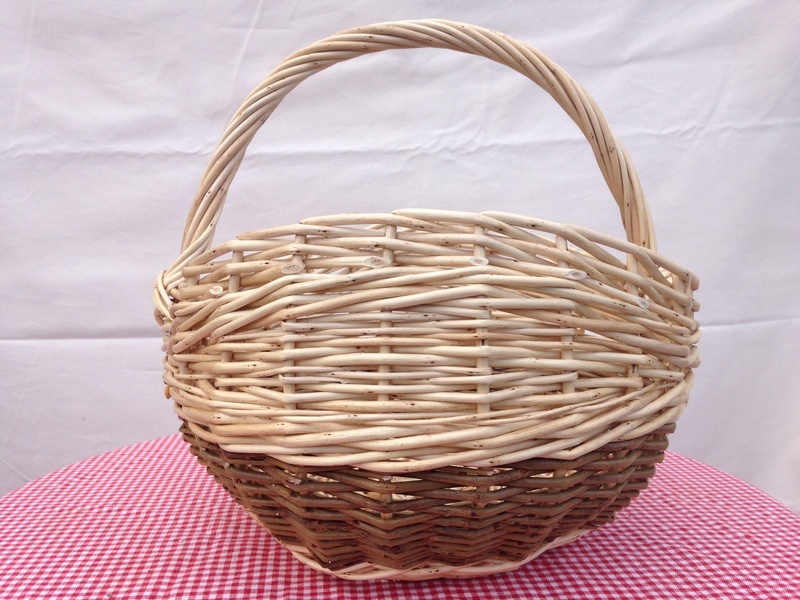 Lovely moon shape ends to the basket. 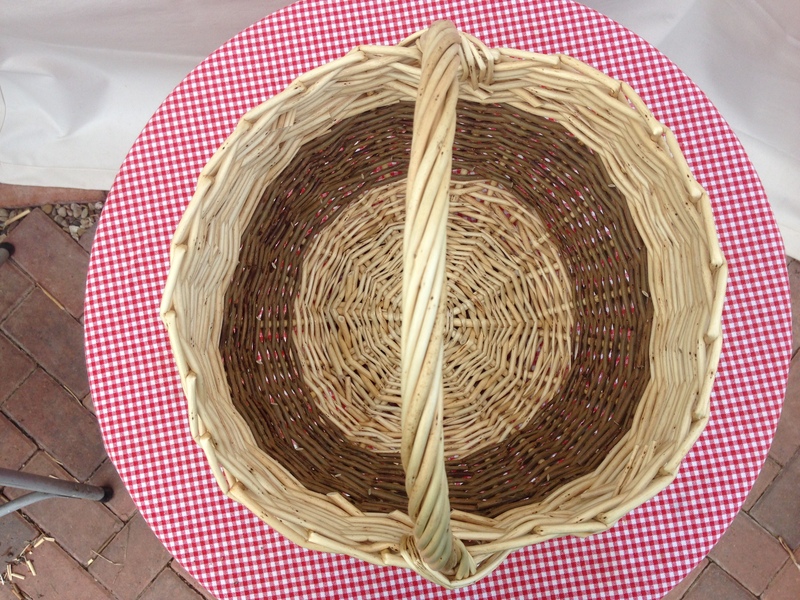 Detail of handle and inside of basket.